How fun is it to eat of a stick? Who wouldn’t love to pick up a salad like this to go along with any picnic or BBQ? This is such a fun way to serve salad to your guests, or your family. 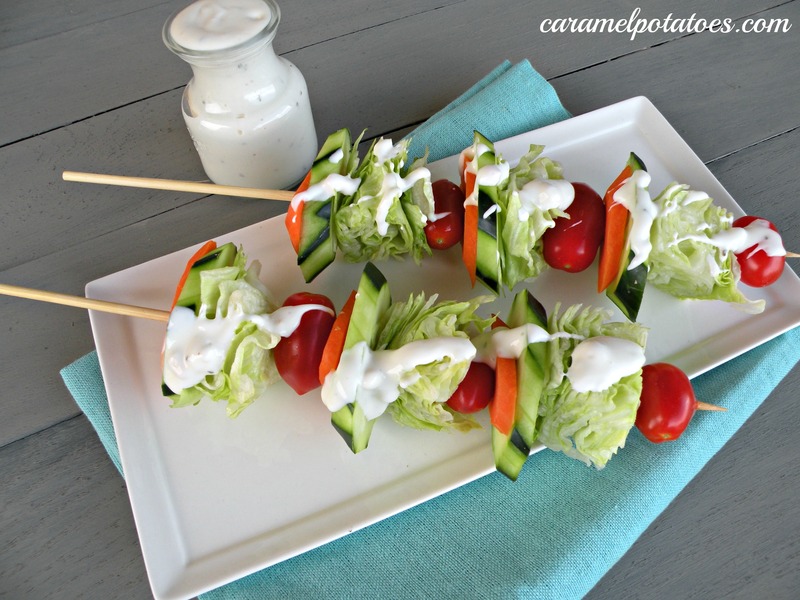 Just think how pretty a large platter of these salads would be and so easy to serve. This is so fun! It’s like a crunchy Kabob. Great fun for a hot summer night too. I love it and I am sharing it on my FB page! Come visit!